The fact that you are now showing up in life sober will mean that getting stuff done becomes easier. There is an art to achieving your goals, but just because you have given up alcohol or drugs does not automatically give you the ability to go about things the most effective way. This is why, in order to get the most out of your new life, you may need to develop some new productivity and goal setting skills. The benefit of having goals in your life is that it gives you something to aim for. If you don’t have these destinations to move towards, it would be easy to feel rudderless; things can begin to lack purpose and meaning. You do not want to become too hung up on goal setting, but you certainly want some type of direction for your life. 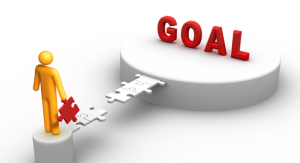 Goal setting requires a deliberate process. It does not mean just deciding in a vague way what you want from life and then doing everything you know to make it happen. With goal setting, you need to be clear about what you want, and decide on a number of steps you need to take in order to make it a reality. The fact is that if you are not going forward in recovery, the likelihood is you are starting to go backwards; standing still is not possible for long. Addiction to alcohol and drugs has likely lowered your self-esteem; the way you bring this feeling of self-worth back up again is to get things done. Did you really become sober to live a mediocre and unsatisfying life? Unless you are willing to do things to keep improving your life, this is probably what you are going to end up with. Everything you do to improve your life is going to strengthen your sobriety, so getting things done makes it less likely that you are going to relapse. Continuing to achieve things in your new life will help you remain positive and optimistic about the future. If you are struggling to make progress in recovery, it could be that there is something holding you back. Below are some of the most common reasons why you may fail to get things done in recovery. It may be that you have self-limiting beliefs that are preventing you from setting goals and trying to achieve them. You may have decided that what you have now is the best you can hope for; this type of thinking is common with those who have low self-esteem. You may even have a fear of success; maybe you picked up ideas during your childhood that are subconsciously holding you back. The most common reason why individuals fail to get things done in sobriety is that they do not want to leave their comfort zone. Making the necessary changes to achieve something can look like hard work, appearing easier just to stay the same. The reality is that things never stay the same and if you do not get out of your comfort zone under your own steam, you can expect the universe to give you a push. The people you spend your time with are likely to have a significant impact on your approach to life. There is a well-respected idea in business that you become the average of the five people you most spend your time with; this means that if you hang around people with low motivation, you are probably going to struggle to get things done. This is why it is so important to seek out successful people in recovery and become inspired by them. Always have clear goals because this makes it easier for you to achieve them. For example, instead of saying you want to lose weight, set a goal to lose 10 kg. Create SMART goals. This means specific, measurable, action orientated toward steps you can take, realistic/ relevant, and time based (i.e. you have a deadline). Break large goals into smaller ones so you will not feel intimidated by the enormity of the task ahead. This also means that your motivation receives a boost every time you achieve one of the smaller goals. It is a good idea that you create a journal so you can track your progress towards your goal; this helps to keep you committed and accountable. If you are still in the first year of recovery, it is advisable to only set yourself small and easily achievable goals; you are already going to have enough to do with getting used to living without alcohol or drugs. Try to spend your time around people who are going to be able to help you and keep you motivated. Make use of the best resources that will help you achieve your goal; this is how people become successful. Learn to make good use of your time. It is worth documenting everything you do for a few days to see how your time is being used; you may be shocked at how much time you are wasting. There are many great online tools and apps for tablets and other digital devices that can help you become better organised when trying to achieve your goal. Learn to use to-do-lists, as these can be a great way to keep you on track. Understand that failure on the way to a goal is normal and that the only time you really fail is when you give up. It is important always to keep in mind that your number one priority in recovery is to stay free of alcohol or drugs. It is best to think of all the other great things you can achieve as being like icing on the cake. You should never follow a goal that will put your sobriety in jeopardy; if you feel the stress of trying to achieve something is putting you in damage of relapse, you should just abandon it. You should not consider this as any type of failure because if you relapse you lose everything anyway.